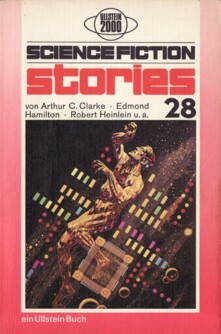 First german edition that incorporates all the shortfictions from the original anthology. The translations are copyrighted 1973 to the publisher, though they originate from previous publications not by Ullstein. "Printed in Germany 1973" and "Ullstein Buch Nr. 2980" are stated on the copyright page. No credit for the cover art, only Fawcett is stated (a publisher); it was taken from the 1972 first edition of Lou Cameron's Cybernia.